Blog posts from other WordPress sites around the Internet of interest to Mark, or possibly his readers. As I have repeated ad nauseam in these pages, Mark’s Text Terminal is not a political or educational policy blog. Any number of reasons suffice to explain this, but I always return to the most salient of them: there are quite a few smart and well-informed people, many of whose websites can be found in the right margin of this site under the heading Blogs Followed at Mark’s Text Terminal, covering those topics. That said, I intend in the coming months to highlight several of these blogs. The assault on public education has now reached a stage where I can no long remain completely silent. Fortunately, as I say, there are plenty of people speaking and perceptively, and buttressing their arguments with evidence, something that happens less and less in public discourse, about educational policy. Starting out, I want to highlight the work of Bob Shepherd, who blogs under the heading Praxis. Bob is, as Diane Ravitch noted recently, a polymath. I originally made his acquaintance in the comments forum of Dr. Ravitch’s blog, where I occasionally presume to comment on topics of the day. Bob is an acutely perspicacious and wide-ranging commentator on educational policy, particularly where privatization of public schools and the scandals that often ensue are concerned. That said, Bob covers a lot of other ground in Praxis. He recently posted a lengthy discourse on the physical and philosophical nature of time, a topic I find abstruse (I dropped Lester Mazor’s “Perspectives on Time” seminar at Hampshire College in the fall of 1994 because I didn’t have the intellectual stamina to keep up with it and plan my honors thesis) and fascinating at the same time. I guess I like to imagine that in another life, Bob and I would be an Intellectual History department of two at some small, lively, and innovative liberal arts college. If you’re at all interested in issues and problems in educational policy—or to quote briefly from his “About” page, “curriculum design…,linguistics…, hermeneutics…, philosophy…, classical and jazz guitar…, history of ideas…, heuristics for innovation,” (and I’ve enumerated only about one-quarter of this list), then you should by all means point your browser at Praxis. It is time for Betsy DeVos to go. Please consider signing this petition from the Network for Public Education. Betsy DeVos was grilled yesterday in Congressional hearings about her budget proposals. She was repeatedly questioned about her desire to increase charter school funding from $440 million to $500 million a year. The Network for Public Education report on the waste, fraud, and abuse in this program was cited. While increasing the charter budget, DeVos wants to cut $18 million from the Special Olympics, which benefits 272,000 children with disabilities. To put it mildly, her priorities are wacky. She wants to cut the budget of a successful and valuable program while heaping money on charters that are likely to never open or quickly close. DeVos said the philanthropic community already funds the Special Olympics. The same is true of charters. Billionaires and Wall Street heap hundreds of millions on charters. The Waltons alone have spent more than a billion on charters. Why does the Federal government add hundreds of millions more? Kevin Bosworth, a teacherat Olathe East High School in Olathe, Kansas, wrote to tell me about a class discussion of grades and tests. A student sharedher poem with the class, and Kevin shared it with me. The reformers and disrupters now say they are intrigued with social and emotional learning. Let them read this and see what they have learned. Public Schools Week Starts Today! Support Our Public Schools! Public Schools Week is March 25-29. Download the toolkit of the Network for Public Education and do your part to support public schools! The forces of privatization are rising up, making promises and failing to keep any of those promises. Public schools are the bedrock of democracy, doors open to all. Certified teachers in every classroom. Public schools strive for equality of educational opportunity, not privilege for the few. Get involved. Do yourpart as a citizen. 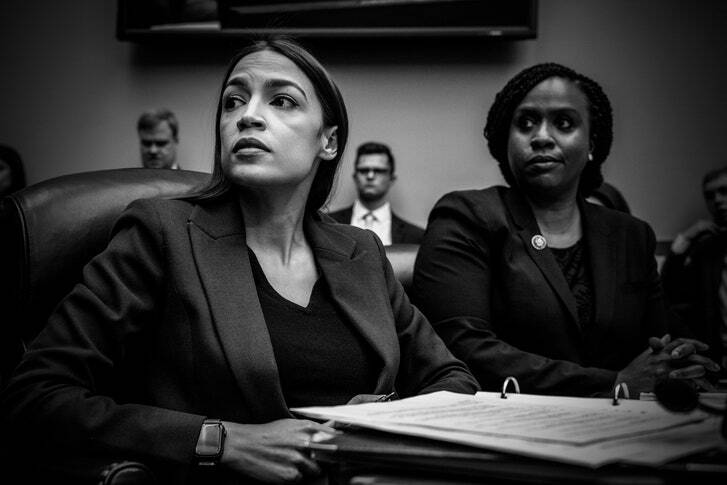 This is a great article by New Yorker editor David Remnick about Rep. Alexandria Ocasio-Cortez. It is almost funny how she has rattled the GOP. They hate, hate, hate her. Is it her youth, her idealism, her beauty, her brains? Is it because she has a heart and they don’t? Is it because she has a soul and they don’t? She frightens them. I worry for her safety. Ocasio-Cortez upset a veteran of her own party in a primary race, and came to office as an unabashed idealist. Mocking her has been a constant on the right ever since.